During the Shriners Open, Jordan Spieth offered his opinion about “The Match”, the $9 million winner-take-all, pay-per-view duel between Tiger Woods and Phil Mickelson Nov. 23 at Shadow Creek. During the Shriners Hospitals for Children Open at TPC Summerlin, three-time majors champion Jordan Spieth offered his opinion about “The Match,” the $9 million, winner-take-all, pay-per-view duel between Tiger Woods and Phil Mickelson on Nov. 23 at Shadow Creek. Now with the match about a week away, the hype machine is fully engaged. 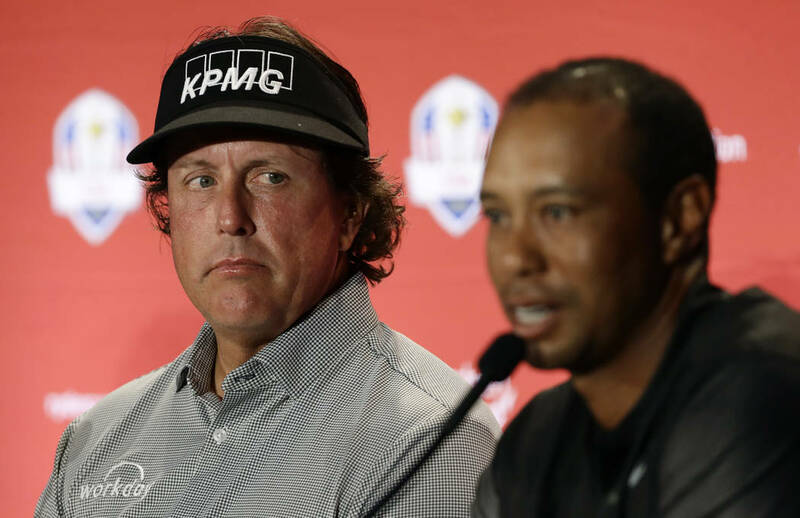 A Bleacher Report video released on social media showed Woods and Mickelson competing in a game of golf pong. 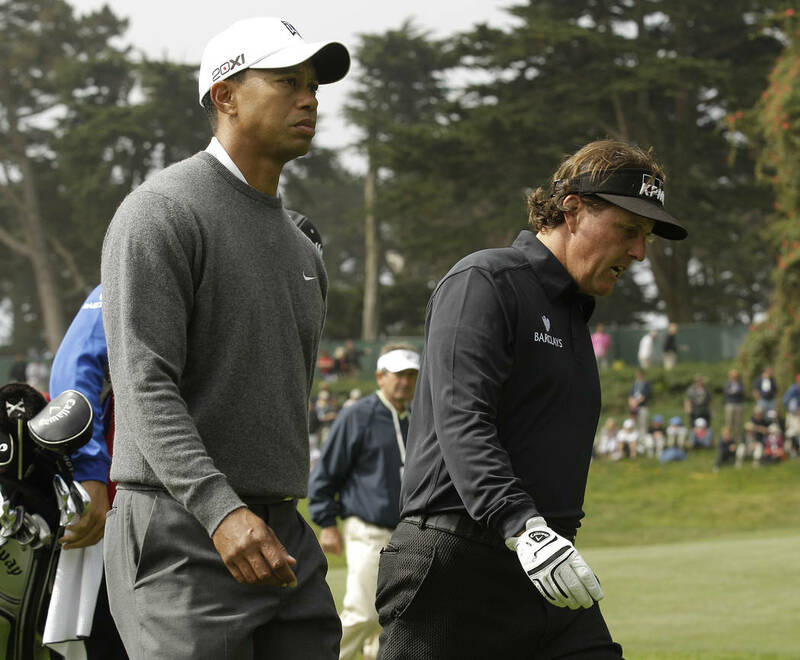 Phil got the better of Tiger, chipping nine balls into red buckets in 90 seconds while Woods made eight. Mickelson’s footage was filmed during a recent scouting trip to Shadow Creek, which by most accounts Woods is more familiar with than Mickelson. “I’ll see you in Vegas,” Mickelson said to close the video. Also, the debut episode of HBO’s “24/7” is at 10 p.m. Tuesday. The Emmy-winning show best known for covering boxing is chronicling “The Match” and featuring golf for the first time. A news conference is set for Nov. 20 at Shadow Creek, and both players are expected to attend. “The Match” starts at noon the day after Thanksgiving. “The Match” is available on pay-per-view for $19.99 through Turner’s B/R Live, DirecTV, and AT&T U-verse and also be distributed through Comcast, Charter, Cox, Verizon and Altice. As first reported in the Review-Journal, there are no tickets available to the public to watch live. Among the Las Vegas residents playing in the PGA Tour Champions Q school first stage at Primm Valley Lakes through Friday are Jeff Gallagher, Reflection Bay teaching pro, and Bob May, who operates his golf academy at TPC Las Vegas. May won the 1999 British Masters and finished runner-up to Tiger Woods at the 2000 PGA Championship. Also among the field of 76 is Las Vegas’ Jeff LeMaster. Last year, 16 qualifiers advance to the final stage, including Gallagher and LeMaster. The final stage is Nov. 27-30 in Florida. Play in the Bear’s Best Charity Classic Dec. 2 for $160 and receive an additional two free rounds at the Jack Nicklaus course. The state-of-the-art UNLV Dwaine Knight Center for Professional Golf Management is open to the public Saturday. Tickets to the open house start at $60 and options include breakfast, lunch, golf at Las Vegas National and more. Visit UNLV.edu/pga for info. The center is named for men’s golf coach Dwaine Knight and is arguably the nation’s top golf management facility, which is available to UNLV men’s and women’s golf teams. The golf notebook appears Wednesdays. Freelance writer Brian Hurlburt is a two-time author who has covered golf in Las Vegas for more than two decades. He can be reached at bhurlburt5@gmail.com or @LVGolfInsider.